It’s been a fantastic weekend in London being part of the celebrations for National Paralympic Day. 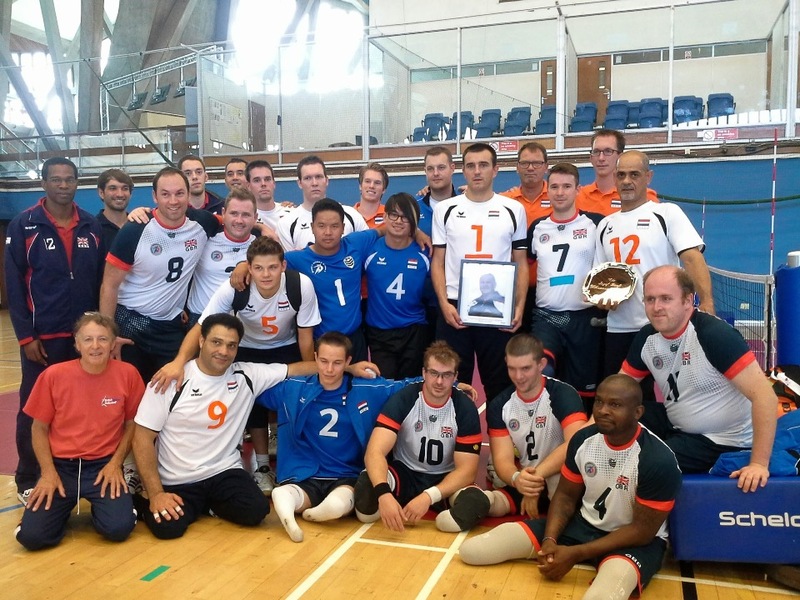 Working alongside Volleyball England and the British Paralympic Association, we delivered a series of 3 international matches between the Great Britain Men’s team and the Netherlands. The 1st and 3rd matches took place at Crystal Palace alongside the 2013 VolleyFest which saw all 4 forms of Volleyball (Indoor, Sitting, Beach & Grass) played together on Sunday. Saturday’s game took place at the Copper Box on the Queen Elizabeth Olympic Park as part of National Paralympic Day. Following Boccia and Table Tennis matches we had less than 30 minutes to arrange the flooring and set up the court ready for our game to take place. Following a presentation to Mayor of London, Boris Johnson, the match got underway in front of around 2,000 spectators who created a fantastic atmosphere. All 3 matches were tightly contested however Holland came out on top, winning 3-1, 3-0 and 3-1. All of the sets on Saturday and Sunday were decided by just 2 points with the level of play being extremely high. The matches were played in memory of Jose Banfi who coached both teams and who recently passed away. He played a huge part in the development of the sport and will be sadly missed by everyone who knew him. The picture above shows both sets of players with the trophy and photograph that were awarded to the Dutch team after the final game. Overall it was certainly an enjoyable weekend. Supporting the delivery of such a high quality event was definitely rewarding and hopefully it will have helped to prepare the GB teams for the European Championships next week. Good luck to the team!